When someone said beauty was only skin deep, they were not kidding. There are so many women, who appear beautiful, yet are perpetually single. Some of them claim it’s a choice. Is that a fact? Do all these women really want a life without love and affection? Or is there more to the story? Today we will look at the unfortunate phenomenon of women who are all alone. Except, we will open this can of worms from a man’s perspective. Join us today, Sunday, October 28, for a lively and engaging conversation, from a man’s point of view. The discussion goes from 7:00 pm – 8:00 pm. Ladies, not even you will want to miss this one. Click link to go directly to the show. To join the discussion call: (323) 642-1387. Friends & Family: Thank you for your support. 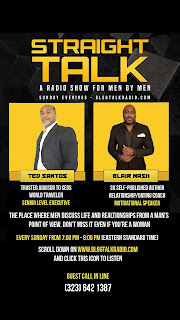 The radio show, Straight Talk with Ted Santos and Blair Nash, had a very successful debut. From calls and private messages I received after the show, there were quite a few listeners who gave very positive feedback. After last Sunday’s launch of the radio show, Blair and I have had to work out a few glitches and bugs. Now that they’ve been worked out, we’re ready to air this Sunday at 7:00pm. Before we engage in a lively discussion about relationships, I have a favor to ask. We want to make sure the show is relevant to you. To ensure that, I request you drop me 2 questions or topics you would like us to address. You can write it below or in my inbox at tsantos@turnaroundip.com. Look forward to speaking with you Sunday. 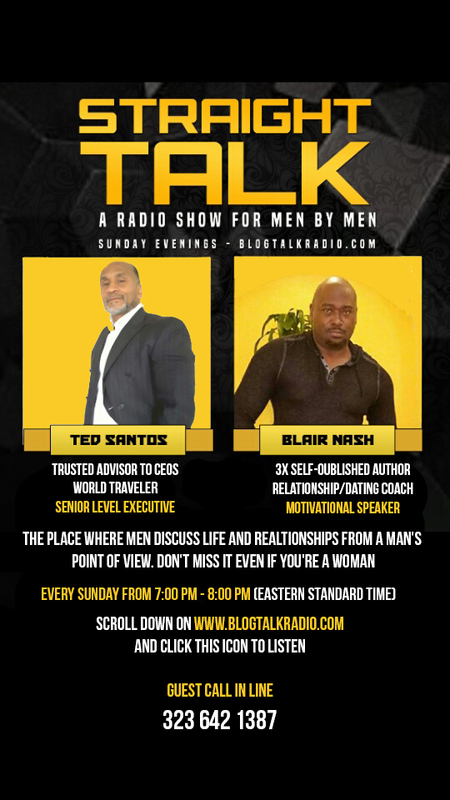 Straight Talk is a live call-in radio show that airs every Sunday from 7:00 pm - 8:00 pm on www.blogtalkradio.com. Click the icon that looks like the photo. To join the conversation, call: 323 642-1387. For decades, women have had many platforms to discuss important issues concerning love, money, education, career, health, relationships, marriage and divorce. During this time, there have been absolutely no platforms for men. Conversations have been one sided and dictated by what women want. As a result, men have been silenced. This has had consequences. More than ever men are experiencing frustrations with women. The rules of yesterday have quickly changed, and men are unsure how to approach or establish happiness in love relationships with women. Unfortunately, there is no platform for men to come together to discuss these challenges. Ted Santos and Blair Nash have created a platform to fill that void in society. It’s rare for men to have a platform that allows them to discuss life challenges – love, work, and family. Instead, as it’s a learned behavior, most men keep many of their concerns bottled inside. 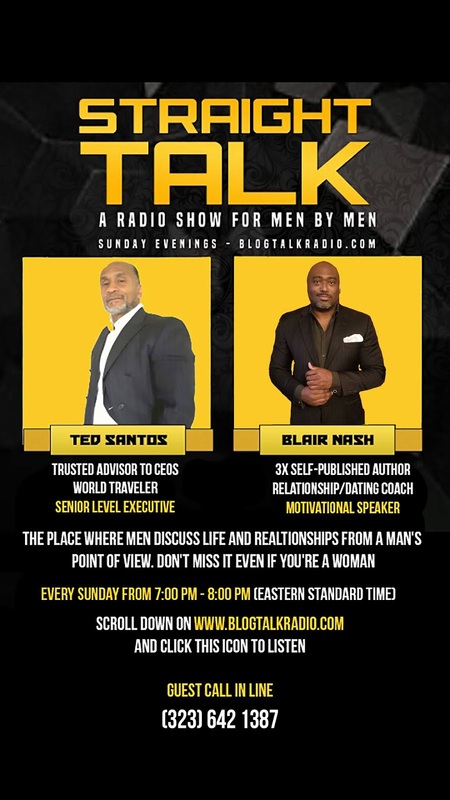 By creating a live call-in radio show through the Internet, ‘Straight Talk’ is a place where men can openly speak about their personal concerns and receive feedback from two professionals – Ted and Blair. 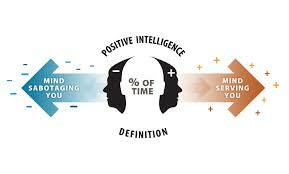 Ted Santos is an executive coach and advisor to CEOs of middle market companies. He also has expertise transforming corporate culture (behavior). Blair is a certified life coach and author of three relationship books. He counsels husbands and wives, dating couples, and individuals. While the show is designed for men, it’s an opportunity for women to hear what men really think. Though the focus is towards men, women are strongly encouraged to call in. ‘Straight Talk’ will be broadcast every Sunday from 7:00pm-8:00pm. Because it’s a live show, callers will have the opportunity, if appropriate, to be coached or receive feedback to find real time solutions to meeting women, dating, relationship challenges or problems in the workplace. How do you choose the right woman? Is marriage beneficial to men? What are your transferable skills for a better career? Are there good women out there?